What Are the Penalties of Your Checking Account Going Negative? When you have a checking account, you must balance deposits with the checks you write to make sure your account doesn't go into the red. Careful planning and record-keeping should keep your account from dipping into negative numbers. It’s wise to avoid a negative balance because your bank will penalize you for these financial blunders with fees and penalties. If the bank covers your overdraft check, you typically face some type of penalty. Overdraft fees are usually what you pay for the bank covering your check. Expect a fee for each check your bank pays. Your bank could also charge a separate service charge for every day your checking account has a negative balance. If you set up an overdraft protection, your bank might move money between accounts to cover overdrafts or you might create a reserve account to do so. Overdraft protection generally involves a fee for each transfer. Banks have varying policies about penalty fees for returning checks unpaid, so it is best to familiarize yourself with your bank's individual policies beforehand. Some financial institutions will simply return a check for insufficient funds while others will charge you a fee. When your bank returns your unpaid check to whomever it was you tried to pay, that company will probably charge you a returned check penalty fee on top of what the bank charges you. And this can get expensive very quickly. If you have a debit card connected to your checking account, and try to use it after your account goes into overdraft, your bank will decline your transaction unless you have overdraft protection. A declined transaction could be an embarrassing result of a negative account balance, and you'll probably be charged for the privilege. What Happens if You Don't Have Enough Money in Your Bank Account When a Check Is Cashed? What Is the Difference Between an Overdraft & Overdrawn? What Happens if Someone Deposits a Bad Check into My Account? Can a Paid Check Be Reversed? How Long Before a Personal Check Expires? 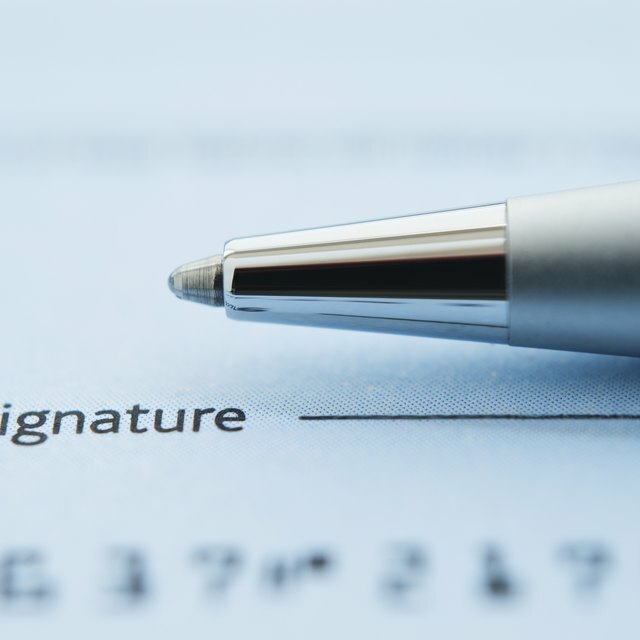 Will a Bank Close a Checking Account If it Is Negative for Too Long? Who Is Responsible for Fraudulent Withdrawals From a Checking Account? Bank policies generally allow for an accidental lapse in calculations and the occasional overdraft. Sometimes, you can even contact your bank and have these fees reversed. But, a pattern of overdrafts is cause for concern, and the more you have, the less likely your bank is to refund them. If overdrafts don’t stop and reach a specific point, the bank might decide to close your account. Each bank has an individual threshold for closing an account, so it’s wise to find out about your own bank’s policies. If the bank closes your account because of account abuse, it might report that fact to the major credit reporting bureaus. If that happens, you might have trouble opening another checking account.